The retropancreatic fusion fascia, or fascia of Treitz, is a critical anatomical landmark during retropancreatic mobilization of the pancreatic head and duodenum (the Kocher maneuver). Using semiserial sections from 24 human fetuses of 9–30 weeks gestation, we examined the development of this fascia. 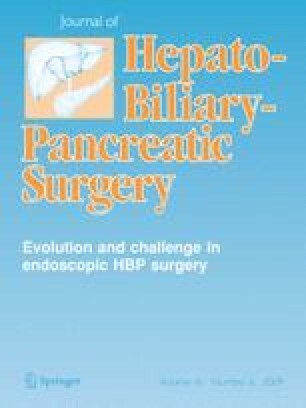 Retroperitoneal fixation of the pancreas occurred at around 10 weeks. Up to 20 weeks, an apparent remnant of the mesoduodenum was attached to the now-distinct renal fascia. Lymphatic vessels and follicles congregated along the ventral aspect of the fusion plane during early development. In 20- to 30-week fetuses, the duodenum began to occupy a definite position and, at the same stage, a candidate for the fascia of Treitz was seen; it was separated from the thick renal fascia by loose connective tissue. We hypothesize that mechanical stress during the development and growth of the duodenum causes the transformation of an indistinct remnant of the peritoneum into a distinct fascia. This mechanism is similar to that seen during the development of the renal fascia, in which the developing adrenal cortex and migrating kidney generate stress on a bundle of thin collagen fibers. Therefore, the fascia of Treitz is unlikely to be a simple remnant of the peritoneum. The fascia, if evident during surgery, should be attached to the pancreatic parenchymal side. We are grateful to Ms. Masako Kuronuma in Yamagata University and Miss. Ji-Hyun Kim in Chonbuk National University for their meticulous technical assistance for histology.